Picked this up at the Children's Hospital Book Market on the last day. I was tempted on the first day, but didn't want to part with $3.50. :) But at 20 books for $5, I gave in. A very interesting story, skillfully told. Four women whose lives intersect, Gladys Pratt who owns a restaurant in the Yukon, Elkee and Kendy who work for Gladys during the summer (like many other young women earning money during the summer to go to school) and Faith, the daughter of a long time employee. 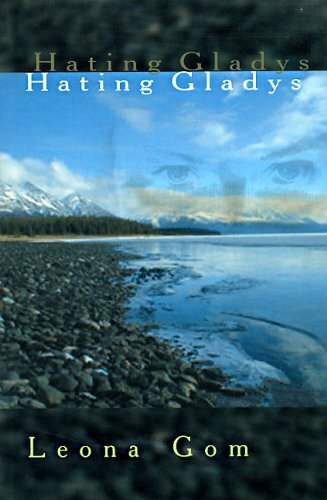 Gladys treats these women ( and everyone) horribly and they hate her, carrying their hatred with them for the next thirty-five years. Gladys meets an unpleasant end. I don't know if this book will make it back to you Kimmi or whether you've already read it, but into the Canadian Authors Bookbox it goes. Hope whoever gets it next enjoys it. I bid goodbye to Gladys as she heads off to Alberta in the Canadian authors bookbox. Took out of Kimmi's Canadian Authors Bookbox. Looks interesting. Good story! Stayed up until 3:00am to finish it! Placed in Kimmi's Canadian authors bookbox#2. Released for the 2007 Keep Them Moving release challenge.